Do You Digest Your Food? When it comes to the relationship between our body and our health, everything is related, including what we eat for breakfast, lunch, dinner, snacks, and supplements as well as HOW we eat. Every choice we make is either improving our health and well-being, or it isn’t. Everyone may agree that diet, what we eat, impacts our health, but clearly not everyone agrees about what constitutes the best diet. Consuming a balanced diet of nutrient-rich whole foods can often seem too general or too obscure a concept. Over the years, we’ve found that it’s best to encourage people to simply improve their current diet gradually, to transition to a healthier diet one step at a time by finding a healthy alternative when we go to the store. For years we have observed how people shop in grocery stores: Filling their grocery carts with fortified cereals, pre-packaged foods, frozen dinners and so on. These are convenience foods, with little or no nutritional value. Let’s repeat this–they have no nutritional value. Please understand this is not a judgement; we all have busy schedules, so we do what is most convenient, but at the cost of effective, nutrient-rich fuel for our bodies. 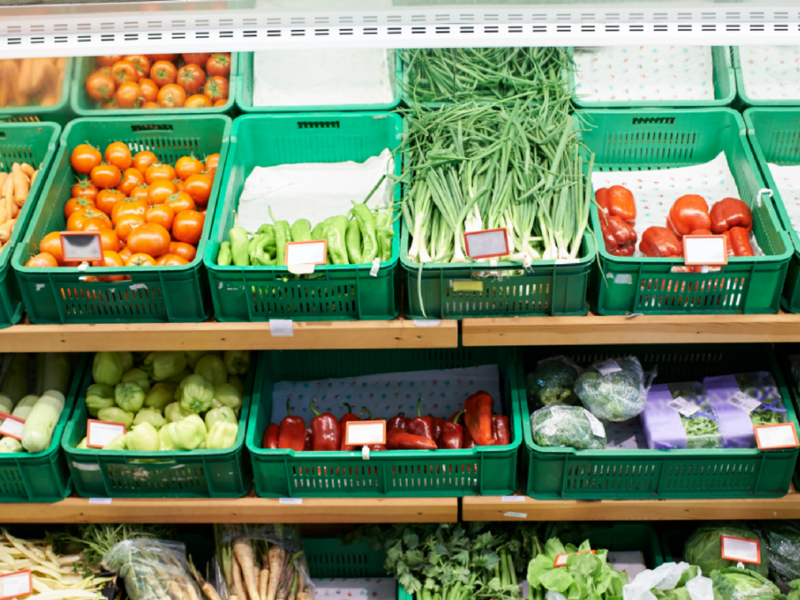 To start improving our health, we must become aware of what is in our grocery cart. A lack of energy, focus and clarity is directly correlated to our daily food choices. These food choices will affect how we think, how we feel, how we act and how we perform. We must fuel our engine with the best whole foods, positive thoughts, and effective actions to gain vitality. Unfortunately, most of us are ingesting nutrient deficient food and impacting our life with thoughts, and actions that don’t serve us; junk in – junk out! If you feel lousy now, how will you feel 1, 3 or 5 years from now? The result is that these foods are difficult to digest because they do not bring their digestive qualities and, therefore, can remain in our intestinal track creating a condition of putrification killing the necessary intestinal nutrients for a healthy GI track… our first line of defense. What do you currently eat for breakfast, lunch, and dinner? Can you replace some processed foods with nutrient-rich whole foods? Can you replace some of your refined carbohydrate choices—like bread, muffins, bagels, and processed breakfast cereals—with whole grains such as brown rice, oats, barley, millet, or corn? Cooked whole grains are a great source of vitamins and minerals, as well as fiber to aid digestion and elimination, and they provide sustained, balanced energy. May we suggest you use your favorite lettuce as a “wrap” instead of bread for burgers or sandwiches. What beverages do you drink over the course of a regular day? Can you replace diet sodas with organic fruit juice or mineral water? Reduce coffee consumption by drinking a glass of water beforehand? Shift to organic coffee, or from regular to decaf? Better still, can you drink more water and less of any other kind of beverage? Remember—pure water is the best beverage choice for your body. How many servings of organic fresh fruits and vegetables are you consuming every day? Can you add one or two of each? That’s a simple way to improve your diet significantly. Too busy to sit down for a relaxing meal? Instead of grabbing french fries or a slice of pizza, have a stalk or two of celery, a few carrot sticks, an apple, some grapes, or a banana. Proper diet involves more than what we eat; it also involves how we eat. Experts advise us to eat less and chew more during each meal. In general, most people keep eating until they feel full. Start paying attention to the messages from your stomach. You can learn to be satisfied with eating to 75-80% fullness, and this is much healthier for you in the long term. Relax, take your time, and slow down while you eat. The number one cause of indigestion and associated problems is eating too fast. Sitting down and then taking a deep breath before you start your meal will help. When you slow down, you give your body time to process the nutrients while you eat. Slowing down will ultimately give you more energy from the meal. Finally, reduce intake of food later in the day. The easiest way to lose excess weight is to eat a bigger and better breakfast and lunch and less at dinnertime, with no snacking after dinner at all. The secret to easy weight loss and deeper, sounder sleep is to eat more during the day and less at night—making sure that at least three full hours have elapsed between your last meal of the day and bedtime.